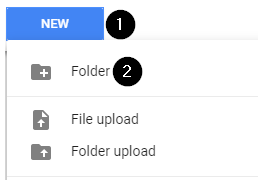 How do I create and share folders in Google Drive? 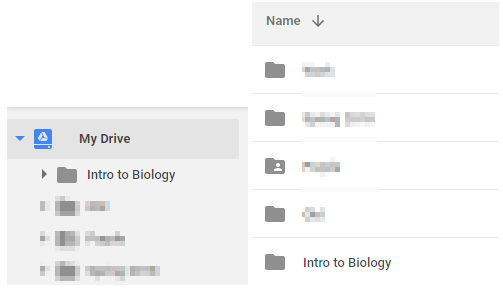 Folders are a vital feature for organizing files in Google Drive. After creating a folder, you can share files quickly and easily with students, faculty, staff and more. For instructors wishing to share files with an entire class using Google Groups, view the full instructions on the UNI eLearning Suite FAQ. Go to any Google page. In the top-right corner of the screen, click the grid icon, then click Drive. 3. Click the blue New button at the top-left of the screen, then select Folder. 4. In the pop up window, choose a name for your folder. 5. 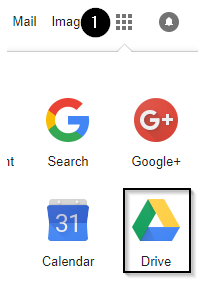 The folder will now appear in your Google Drive under the “My Drive” section. Note: If you want to create a subfolder, click on the one you just created and, once inside, repeat steps 3 & 4.